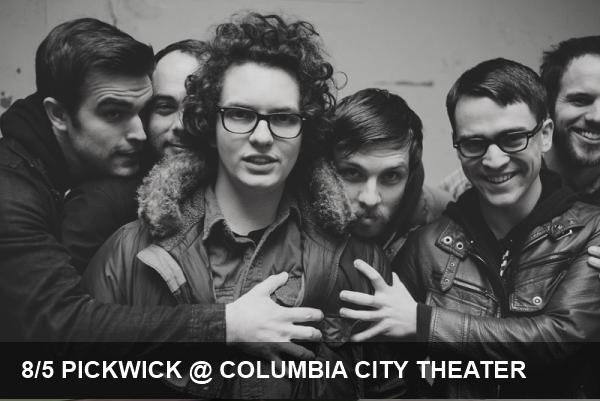 The indie-folk-turned-funk-sensations Pickwick are back again tonight with a show at the Columbia City Theater this evening. Unassuming frontman Galen Disston has surprisingly soulful vocals layered over groovy melodies that make it absolutely impossible to stand still during their sets. Part motown, part modern, Pickwick is one of Seattle’s latest darlings. If you can’t make it out to Columbia City tonight to celebrate fellow music blog Sound on the Sound‘s 5th anniversary, don’t miss their free show as part of KEXP’s Concerts at the Mural series on 8/26.